This book examines the most up-to-date research in the agricultural field. Chapter One analyzes the achievements, applications, potential and the future avenues of bioenergy production from sugarcane. Chapter Two discusses the importance of humic substances for soil quality and plant protection. 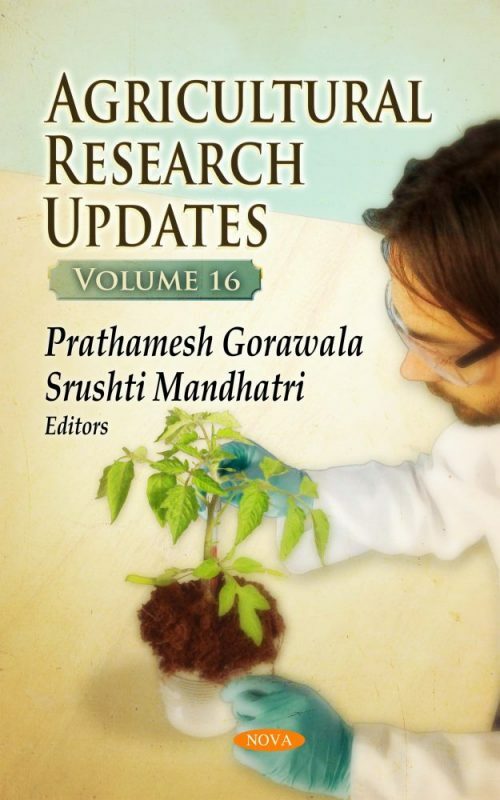 Chapter Three studies corn production intercropping with the fodder plant Urochloa brizantha in different production systems. Chapter Four reviews the potential applications of the hydrolysates for the production of fuels and valuable chemicals. Chapter Five describes the characteristics, cultivation techniques, and post-harvest management of red kiwifruit. Chapter Six discusses the importance and methods for valorization of five different fruits of the forest. Chapter Seven reports the development of an efficient and affordable micro-irrigation system that could help enhance farm productivity especially during conditions where water supply is very limiting.